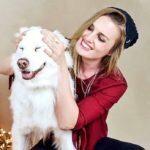 Home Blog How Often Should You Deworm a Dog? There are so many different things to think about when you have a dog; one of which is deworming, and how to keep your pup free from intestinal parasites. 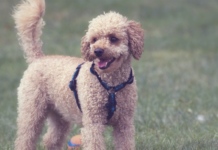 Worm infestations are very common, especially in areas with warm weather and little- to no frost (as it enables worm eggs to stay alive longer), and it is something every dog owner should prepare themselves for. 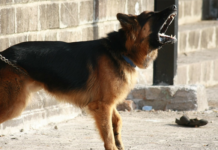 In some zones, it is more a question of when a dog will get worms, rather than if, and knowing what to expect and how to act will make the recovery process both faster and easier. The best thing you can do for your pup is to prevent worms from infesting their defenseless bodies, but is preventive deworming recommended, and if so, how often should you deworm your dog? A puppy can get worms from their mother, through her milk, which means that even the youngest puppy can be infested with worms, even though they have never been outside or met with other dogs. 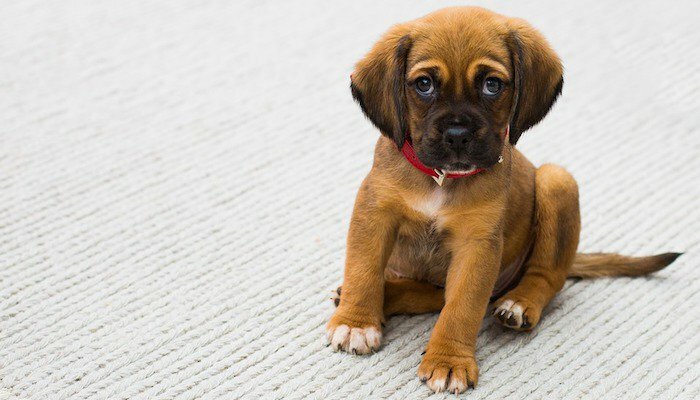 Professional breeders are aware of this, and they know that a puppy should receive their first deworming before their first vaccination, but for the average dog owner, it might come as a surprise. Most people know that a dog can get worms from the environment they move in and from the stool of other dogs, that a female dog’s breastmilk can give her pups worms is far less well known. Always double check with your breeder that a puppy has been properly dewormed before purchasing; regardless of whether the breeder is considered reliable or not and ask the shelter staff if you are adopting a puppy in the need for a home. If there is uncertainty, a veterinarian can help you figure out how to proceed. Small puppies should always be dewormed; with the first time being when they are between 21 and 30 days old, and then every two months until the age of 12 weeks. It is even more important to deworm if the puppies have regular contact with adult dogs that spend time outside, as they might bring contaminated soil inside on their paws and in their fur. While worm infestations (apart from Heartworm) rarely cause death in adult dogs, it is not uncommon for young puppies to pass away due to worms. If a puppy dies unexpectedly, many veterinarians will go straight to considering worms being the reason behind it, as their bodies are not strong enough yet to fight the side effects of an intestinal parasite. Deworming is therefore essential in young puppies and should be done before they are separated from their mother and moved into a new home. How often an adult dog should be dewormed is a much more complex question, as it depends entirely on the dog, the place where you live, what you do on your outings and the recommendations from your veterinarian. In low-risk areas; such as where winters are cold and the ground freezes properly, preventive deworming might not be needed, and veterinarians may even advice against it. Keep in mind that a dewormer is a strong medication and not something that should be administered to your dog unless necessary. 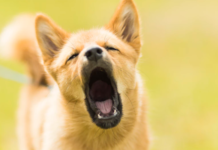 In these cases, vet’s might instead recommend deworming only when worms are present, and not to keep your dog from getting them (this does not apply to puppies, as above section states). In other cases, and in areas where worms thrive, some veterinarians will recommend a preventive deworming pill every 6 months for adult dogs, or every 2 months in extreme risk zones. There is no way to make a recommendation for how often to deworm an adult dog without knowing all the factors. The same goes for preventive heartworm medication, which – when recommended by a vet – is administered every 6 months, but that might not be required nor necessary in all areas of the United States and the world. Talk it over with your vet the next time your dog has an appointment, and if you are still not sure – get a second opinion and make your decision based on the professional advice you receive. Same applies to dogs all sizes when it comes to deworming, and what matters (in terms of how often to deworm) depends on the environment, living area, vet recommendations and more, rather than the physical size of the dog. 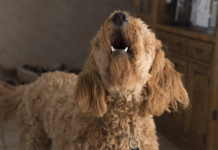 A dog’s size, however, will impact how much dewormer should be used each time you deworm, and the product you use will usually have detailed information regarding quantity printed on the packaging. Never guess or experiment with dog worm medication, since they are very strong, and the wrong dosage can either make them ineffective or cause potentially fatal damage. The most common way to deworm a puppy is with a syrup-like solution, as they might be too small to swallow a pill, especially during the first few deworming sessions. These solutions will be fed orally and are usually mild and low in dosage to not cause harm or unwanted side effects. It is important to consult experts if you have never dewormed such young puppies before, to make sure you get the dosage right. Adult dogs have a few more options, and many worm medications will come in the shape of a chewable treat! They taste just like a delicious and meaty reward so that your pup won’t mind taking it when it is time for a deworming. 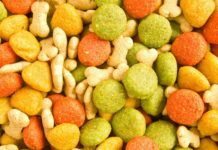 The best thing about this deworming presentation is that you won’t have to worry about sticking a pill down their throat or hiding it in dog food only to have your dog somehow separate the food from the pill, and leave it lying in the bowl. A veterinarian might in some cases also give your dog a shot with worm medication, or recommend a topical treatment which is applied directly to the skin in the back of the neck.